Yugioh is currently the greatest franchise of all time. It has exceled in every area and that is a feat which is nearly impossible to match. It currently possesses the greatest movie of all time and the greatest TV show of all time. Yugioh also has another 9 star show in 5Ds and a great title in the original. The video games have been terrific and R/Duelist ensure that the manga section is elite as well. From this, you can probably see why Zexal has so much pressure on it. Zexal probably has the worst rep from all of the main shows, but it is debatable as many people do not like GX with a passion. Zexal ended up being a great show, but it is safe to say that it could never end up reaching the same level as any of the previous three shows. A fate similar to that if Cardfight G at the moment. The show takes place many years after 5Ds. Technically, it may not be in continuity, but there are enough nods that we can essentially place it in the timeline. Just in an unofficial way like Avengers Assemble. The story follows a kid named Yuma as he goes through his days striving to high five the sky. He is a terrible duelist, but he never gives up and has a lot of fun. One day, he gets a pendant and a spirit named Astral appears. The spirit has lost his memories and needs to recover the 100 Number Cards to get them back. Naturally, Yuma decides to help and Astral decides to make him a better duelist along the way. The first arc mainly deals with a large tournament. Mr. Heartland is one of the organizers and it is safe to say that he is corrupt. His boss wants to do something shifty with the numbers and he coerces number hunter, Kite, to join the fray as well. Throw in a bunch of other characters and we’ve got quite a tournament. Can Yuma defeat all of these fighters!? The second arc deals with the Barian Emperors. They have arrived on Earth and wish to destroy Astral and his world along with him. Yuma will have to level up his dueling abilities even more if he is going to defeat them, but things get personal when he finds out that there may be a traitor or two in his midst. His bonds of friendship are shaken to the core. How can Yuma fight for his friends when they may not even be his friends!? The stakes get higher in this arc and it is also a lot darker. I definitely can’t forget the arc opener…that was intense! Zexal distinguishes itself from the other Yugioh series with how exaggerated the dueling is. Not that the stakes are the highest or anything like that, but you can do almost anything in a single turn. Need to summon 6-8 monsters at once? Not a problem! Need to do the triple fusion to build the overlay network and summon your favorite monster on the first turn? No worries, you can even deal some damage while you are at it. The combos are seriously overpowered here. It is to the point where you need a dynamite hand from the start or else you are doomed. Luckily, the duelists have luck and Shining Draw skills on their side. To counter all of the monster combos, we have constant traps at the ready. There are likely more trap battles here than in the rest of the franchise. Duelists are constantly playing spell and trap cards so often that it feels like a classic DBZ fight! “Are you done?” “Almost, but first I activate…” This happens soooo many times during the series. I thought it was overdone, but I suppose that spell and trap cards are fun to use. It makes for sone great boasts during the duel. There are quite a few deux ex machinas to be found as Yuma will unveil a new card at just the right time! He also got some new cards when he first leveled up into his Super Saiyan form. A pretty good bonus if you ask me! This is regrettable, but I know that it is pretty hard to avoid considering how strong the villains are at times. The new cards are typically fun, which is always good. The new gimmick that is added to the actual duels is that you can now Exceed summon. It is similar to fusion and it’s almost the same thing. The main difference is that your monsters need to be the same level. You don’t need to tune them or activate a card to fuse the monsters, the levels just have to align and then you’ve got a new monster at the ready to help out! It’s not a bad gimmick and it’s fairly easy to use. It’s a lot better than Cardfight G’s gimmick, but it’s probably not quite as fun as Synchro Summoning. Also, the show’s exaggerated play style points out the holes in this technique as you can seriously take advantage of the new way of summoning. It was still a fun addition to watch while it was around though. Zexal’s animation is big, bold, and bright. Similar to how the 90’s comics loved their exaggerated panels and colorful designs, Zexal takes a similar approach. Other anime that have basically done this include Saint Seiya Omega and Digimon Fusion. It is certainly not my favorite style and I prefer something more streamlined like Yugioh GX, but I suppose that it works well enough. The animation is still pretty good even if it is not great. Some episodes spared no expense like Kite’s first duel or some of the big budget battles that would pop up now and again. You certainly would not mistake this for being an older title and it took advantage of the many energy attacks that were present. Unfortunately, a lot of the monsters still manage to be in total CGI, which looks significantly less impressive. Nothing beats watching a hand drawn monster appear to take names and beat up on the opponents. It’s a lot more satisfying to watch after all. Zexal’s soundtrack is certainly one area where it does not impress. Most of the themes are fairly generic and you will forget them very easily. Most of the tunes aren’t bad, but it just felt like no real effort was put into them. That being said, you will probably start to like them by the time you are done with the show. You will have heard them many times after all and since the array of themes is rather limited, they have to keep playing them for each battle. Kite is the best character of the show so we may as well talk about him first. He is Yuma’s true rival in the show although you can make the case for Shark as well. Kite uses a Photon deck and what is unique about it is that he rarely exceed summons. He prefers to fight with more traditional techniques like tribute summoning. His Neo Galaxy Eyes dragon is a true beast and a worthy opponent to come up against. I liked Kite right from the start and his ability to manipulate the flow of time was excellent. He provided the show with a good enemy and he is probably the only human who was able to help a lot in the final battle while on his own. It doesn’t get much better than facing someone while in outer space! Shark is a good rival. He lost rather quickly as a lot of shows like to have the hero beat the rival in the first episodes, but things went up for him from there. He was definitely one of the more likable heroes. Then, the final arc happened. Let’s just say that the “I fight for my friends” idea was thrown out the window. Shark was torn between his loyalties to Earth and his real home. Ultimately, he decides to choose the latter and that would have been ok if handled differently. The problem is that there is no good reason for Shark’s last few decisions. He wants to protect some people, but he is conveniently forgetting that those people have been causing damage and mayhem in the city. He should also know that Yuma and co are not planning on doing anything drastic so they could all talk about this. Unfortunately, Astral is also very frustratingly extreme on the issue, which does not help. The whole climax could have been avoided if Shark had simply agreed with Yuma. That way everyone would coexist in peace. Astral’s clan wanted war as well, but it would be easy for Yuma to calm them down since he did save them a while back. Ah well, Shark still proves himself to be a very good duelist and he still did help out a lot. He is easily one of the best heroes for the first arc and he is an intimidating fighter in the final one. We can’t really call him a hero anymore though since he destroyed another hero and attempted to destroy an entire race. 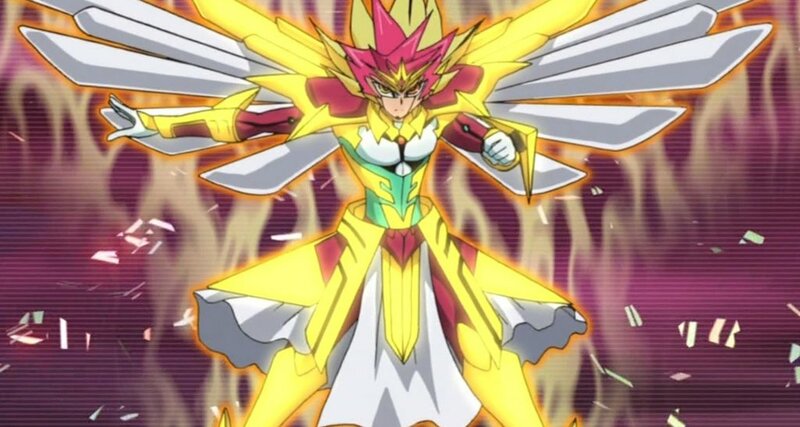 Yuma is the main character of the show and he upholds the tradition of most Yugioh leads having a name that begins with a Y. Jaden may have not confirmed to this tradition, but he is Jaden. His skills allow him to write his own legacy. Yuma is pretty bad at dueling when the show first starts. He is probably worse than normal Yugi was at the time although it is probably debatable. As the series progresses, Yuma becomes a pro in his own right. I would certainly still consider Yugi, Jaden, and Yusei to be better duelists, but Yuma’s deck is probably better than Yugi’s (Minus the God Cards) and Yusei’s. Yuma’s many variations of Utopia will serve him well. Yuma’s deck has an incredible number of cards as new ones keep on popping up whenever he is in a pinch. Yuma is the only lead in Yugioh who gets multiple super forms as the series progresses. His first form is probably the best as he becomes a Super Saiyan! That was definitely pretty awesome. Naturally, his forms come with their own special abilities like Shining Draw. Shining Draw is very useful as it allows you to draw any card that you want. This naturally shifts the balance of power in any duel. I am inclined to believe that Yuma also gets a degree of flight, super strength, and speed, but it is a little hard to verify. As for his personality, Yuma is a decent lead. I prefer my main characters to be more confident and talented, but Yuma still has other good traits. He never gives up on his friends as shown in his final duels with Vector, Shark, and Astral. He’s definitely a hero and Yuma would never destroy a villain. He tries to see the good inside of every character. Yuma may take it to extremes, but at least you know that you can certainly trust him in a pinch! 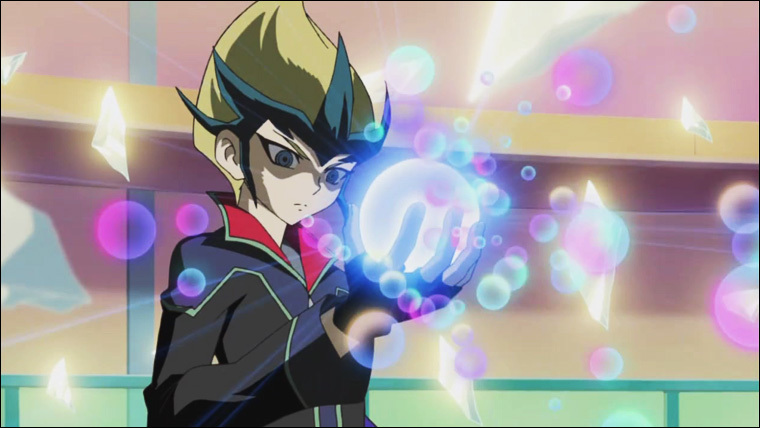 When he is serious, Yuma can be a real threat as a duelist and his skill progression was handled rather well. If he could have fewer comic relief scenes at times, he would be an even better lead. Astral is a ghost who accompanies Yuma for the duration of the series. He lost his memories and he needs Yuma to get them back. The two heroes have a number of good adventures, but Astral still keeps his original goal in mind. He wants the complete destruction of Barian World. Nothing Yuma says will change his mind so they eventually engage in a duel. It is rather disappointing to see how low Astral has gotten in that final duel. There is a twist which suggests that Astral may have just been testing Yuma, but I still wonder about that. If Yuma had not that the proven the heart of the cards was with him, I think we may have had to say goodbye to Barian World. Astral’s gimmick is that he’s new to Earth so he asks a lot of questions and makes observations. I don’t tend to care for a character like that and Astral may be a pro, but he’s the kind of guy who rarely makes his own decisions and simply listens to the corrupt men in charge. He never ended up being a good character for me, but he could have been a lot worse. At least he fought when the going got tough. Dr. Faker was one of the first big villains of the series. He was never a favorite of mine, but he had a pretty nifty super form. He also gave us one of the best battles of the series, which was a lot of fun. That being said, he just didn’t have a great design and lacked the personality needed to make a villain really threatening. I would say that Vetrix was an improvement, but not really. Zexal really struggled with the villains in the first part of the series. Vetrix’s voice took away any mystery that he could have had. His deck was pretty handy though and it was certainly dangerous. That just didn’t make him a great villain. I’m afraid that Yuma’s friends weren’t great. Bronk was your average bully who wasn’t good at dueling, but eventually became Yuma’s friend. Unfortunately, his skills never got better. Flip, Caswell, and Cathy were around, but they never helped out or became likable characters either. Tori is the main heroine of the series and she does her best to cheer Yuma on, but the show missed its big opportunity by never really letting her duel. This means that she was relegated to the background and never had much of an impact on the story. Rio is Shark’s sister and she doesn’t really get to appear until the start of the second part of the show. She is a very good duelist and a nice supporting character to have around. Finally, we had a friend who could duel! Unfortunately, that was around when the twist about the Barian Emperors came around so her days as a hero were very limited. She was a tough duelist until the end though and her ice deck was fun. Dextra was one of the allies/rivals from the early part of the series along with Nistro. They faded away in the final arc, but they still tried to help. Dextra was a good character although she never got to do all that much and her overall fight record wasn’t that great. Nistro talks a good game, but his actual skills aren’t quite as good as he would like to think. He still put up a good fight against one of the Barian Emperors, but he was doomed from the start. Quattro tries to be like a rival to Shark in the series. He doesn’t duel the guy enough for us to really count it, but that’s what his personality is like. He mellows out after the first arc though and manages to be more likable than Trey, but not quite as cool as Quinton. It’s almost hard to imagine how he could have become so nice after he was so evil at first, but it just shows that he had some fast character development. He was a fun supporting character. I didn’t really care for Trey though. He was the nice guy of the group, but he was tricked rather easily and this leads to disagreements with Yuma. He does help Yuma out of a few jams though so his helpfulness should not be overlooked. Most of the other heroes aren’t quite as useful when push comes to shove. Quinton is still the best of the group and it isn’t just because he has one of the coolest number cards. He’s a good duelist right up until the end and he puts up a good fight against Mizar, which is more than most of the other characters can say. He has an air of confidence about him and that makes Quinton a worthy hero to have on one’s side. Dumon is one of the nicer Barian Emperors. He’s actually very reasonable and if the other emperors weren’t always looking for a fight, the heroes could have likely made peace through him. It wasn’t to be though and unfortunately, Dumon is also one of the weaker ones. His deck simply wasn’t very imaginative, but his design was cool. 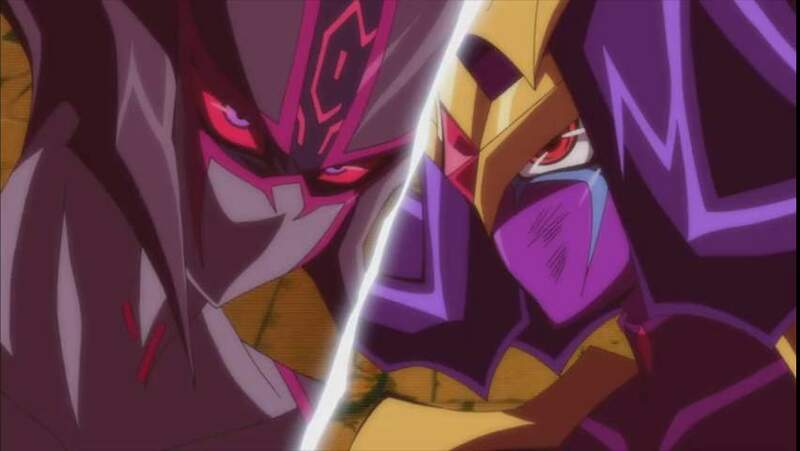 Mizar is easily one of the cooler Barian Emperors and I remember how epic his first appearance was. After having to watch Girag for so long, I was thrilled to have someone around who could fight. It was also the first time that Shark, Kite, and Yuma had gathered together in quite a while. Mizar’s Galaxy Eyes made for a great monster and while he may have been cannon fodder for the final boss, Mizar never backed down. Girag is one of the Barian Emperors and he’s one of the main reasons why the show got off to a slow start at first. (Minus the first episode) It’s really hard to take him seriously and he’s actually a fairly weak duelist. His number isn’t very impressive and he spends a lot of time getting taken out or simply relying on minions. It’s a good thing that he had other emperors to back him up. Alito was a decent one who used to be a bit of a boxer. His deck was the most normal out of the emperors as he didn’t rely on a lot of fancy tricks to win. He simply hit hard and hit fast. Alito’s certainly a little gullible and it can be sad to see him turn on Yuma so suddenly, but he ultimately realizes that he has to fight to win. 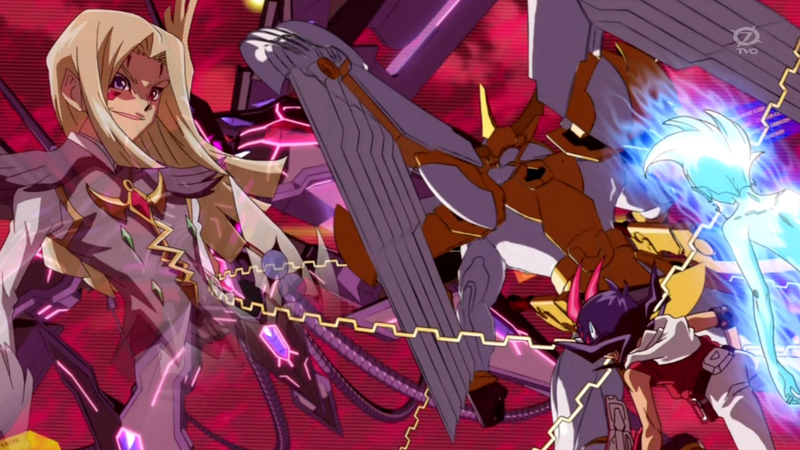 Behind Mizar and Vector and Nash and Rio……he is the best one…which is sort of saying something right? We also can’t forget Dark Astral. He was a pretty fun villain to have. It was also a fun plot since we didn’t know that numbers could have a will of their own before that moment occurred. He got several power ups and proved to be a thorn in the side of the heroes for quite some time. I liked his character a lot and his ending wasn’t very satisfying, but you certainly can’t say that he didn’t have a lot of action before that. He got to fight quite a few times and he displayed a whole lot of power while he was around. He was a very threatening villain to be sure. Eliphas was one of the big members of Astral World and the only one who could fight aside from Astral. His design was very good and you could certainly tell that he was a threat to any duelist. His cards weren’t very overpowered or anything, he was simply a very good duelist. It was fun to see him upgrade his monsters over and over again to be sure. He’s a rather unreasonable character and one of the main reasons why Astral ended up making some bad decisions. I certainly can’t call Eliphas a hero, but he made for a fun villain although his appearances were brief. Mr. Heartland is one of those characters who will leave you in suspense for a while. He appears a lot in the show, but he rarely ever gets to duel. He gets an intriguing super form in Zexal II, but it certainly didn’t help me become a fan of him. He was another uninteresting villain. Meanwhile, Yuma’s Dad seemed like a good character, but his plot never really went anywhere. It seems like he’s still alive of course, but he just never checks in on Yuma. He prefers to help from the shadows, but he certainly could have helped the heroes save the planet if he had wanted too. I’m not sure how much of a duelist he is, but I’m willing to bet that he was a powerful one. 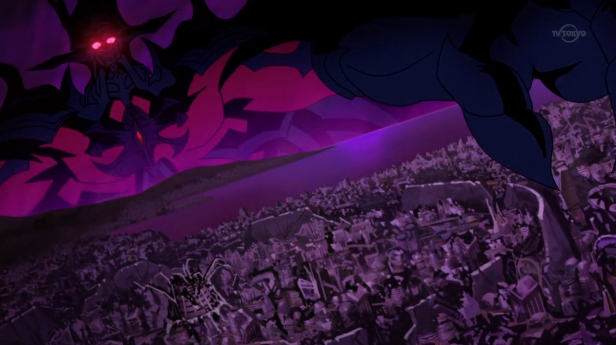 Vector is one of the biggest villains and also one of the best ones. He uses trickery to make the heroes lower their guards before striking. He’s an excellent duelist as well so you shouldn’t underestimate him either. In terms of raw power, he was easily one of the biggest threats that Yuma had to face. It’s a good thing for the hero that they’re just facing each other in a duel right? Vector spends most of the season pretending to be Yuma’s ally and his scheme works rather well. It’s pretty disheartening for the heroes to find a traitor in their midst, but that’s just how smooth Vector is. His Barian form was certainly cool. Shark should have been a little more alert when around this guy, but in the end, the heroes were ready for his tricks. Without him, it would have been very hard to have taken the Barian Emperors seriously. I’d say that Shark is still the best villain, but it’s between Vector and the upcoming villain for second place. Don Thousand is the ultimate villain of this series and he was an epic way to end the series. He wasn’t the actual final boss that Yuma had to face, but he felt like it. His true form looks like something you would see out of Toriko and his deck doesn’t disappoint in how powerful it is. Don Thousand can actually rewrite reality thanks to one of his spell cards so he can change your card into another one. It’s the kind of ability that is almost impossible to stop and it’s a lot of fun to see how powerful a card can be. He can certainly hold his own against any other final boss in the Yugioh franchise and he’s also one of the cooler ones. It was seriously fun to watch him duel. One area where Zexal surpassed the other Yugioh series was in how many filler or “filler” episodes that it had. Some of the battles may have technically been important for the number cards, but they were effectively filler. This happens for most of Yuma’s early tournament battles as well as his early days and even the Barian Emperor had some when Yuma had to fight random people who were taken over by Barian Force. The filler episodes certainly slowed the pacing down and weren’t as exciting as the big episodes. As such, you need to be a big fan of the actual dueling or that will hurt the experience for you a bit. We have a whole episode about Yuma dueling a guy who liked tomatoes and Yuma has to eat them during the duel. It’s pretty surreal. As with most Yugioh series, the tone is very light at first, but then things get serious towards the end. It’s almost a tradition at this point that the whole supporting cast has to be eliminated towards the end. It happened in GX, and now it happened here. Okay…that’s two out of 4 series, but we’ll see what happens once Arc V arrives. Either way, the stakes were certainly very high. Perhaps not quite as much as GX, which was the original, but still higher than you would have guessed from the beginning. The climax of each arc is also pretty great as you would expect. I actually preferred the first big battle as it was Kite, Shark, and Yuma against the villain in season 1. Season 2 couldn’t top that so it was just Shark and Yuma against the villain. Still really epic of course, but nothing beats a 3 on 1 duel. The animation and tension greatly improved in Zexal II so it really did put out all of the stops. One of the reasons why Yugioh always has such a great climax is because it already established all of the characters early on in the series. This means that you will be caring about each duel at the end and the stakes keep getting higher and higher. Also, I still have to say that the first episode of Zexal II was brilliant, so brilliant that it holds up against the climax as well. 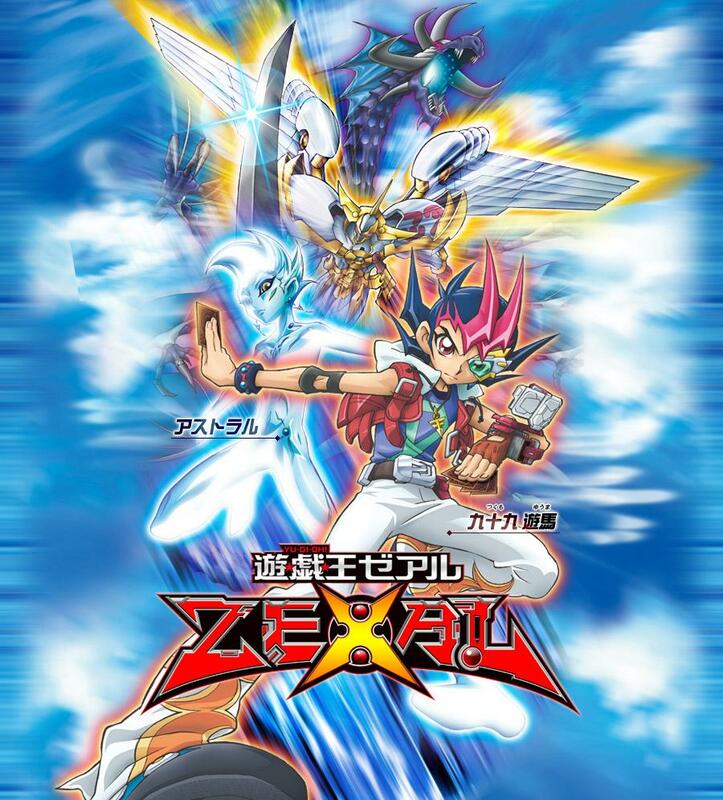 Zexal is well over 100 episodes, which is a pretty good size. It’s shorter than 5D’s, which was shorter than GX, which was shorter than the original Yugioh, but I’m satisfied as long as we continue to crack 100 episodes. As I already mentioned, it’s not quite as good as the first three shows either, but it’s still a great show. It’s simply tough to top those legends as the first three Yugioh series were basically all stars. The main reason why Zexal can’t top them is because the soundtrack, animation, and duels are typically not as good as say, 5D’s. Ah well, it’s not the newest kid on the block now so a little pressure will leave it for a while. Overall, Yugioh Zexal is a great show despite its flaws. It easily cracked the 8 stars rating and exceeded expectations that may have been had after the first episodes. We got lot of great duels. The animation was very good and the soundtrack had some good moments although it was certainly unimpressive. Zexal may be at the bottom of the hill for now, but once Arc V starts in America, it should be able to move up a spot. At the very least, I don’t see it passing Zexal until it has 50+ episodes. If you liked the other Yugioh titles, I recommend this one. The card fighting can be a tad exaggerated in their constant traps, but it will be a long, yet fun ride. Even if you just want a fun action title that is fairly light, this is a good bet. Watch out for the statue reference to GX. This entry was posted in 8 Star TV Shows, Reviews, TV Show Reviews, TV Shows and tagged Action, Anime, Anime Review, Card Game, Duel Monsters, Kite, Review, Shark, TV Show Review, Yugi, Yugioh, Yugioh Zexal, Yuma by dreager1. Bookmark the permalink.